A few months ago I stumbled on Kaushik Basu's fascinating and readable 2011 paper Why, for a Class of Bribes, the Act of Giving a Bribe should be Treated as Legal. In the context of Narendra Modi's massive demonetization campaign, which has as one of its goals a reduction in corruption, I thought it was a timely moment to shine the spotlight on Basu's idea. One reason that bribery often goes undetected by authorities is that the bribe giver and the bribe taker are incentivized to cooperate with each other in order to keep a bribe secret. After all, the law typically treats both parties as equally guilty—work together and no one gets in trouble. Basu's idea is to upend this symmetry by having the bribe giver face a different set of consequences than the taker should the bribe be made public. Once they face different fates, the motivation that the giver and taker have to cooperate will disappear, or at least be diminished, making it easier for the authorities to cut down on bribery. In the case of a specific kind of bribery, harassment bribes, Basu proposes completely legalizing the act of giving a bribe while maintaining the prohibition against the taking of a bribe. Harassment bribes are amounts that must be paid to get government services to which one is legally entitled to, say like an official who requires a 'gift' before stamping a document or a teacher who won't correct his/her students' final exams without passing around a hat. In addition to granting the bribe giver full immunity, Basu also wants to implement a requirement that the taker, once convicted, pay the giver back. So if they successfully offer a bribe and then report it, not only does the bribe giver get the required service that the official had been withholding—they also get the full amount of the bribe returned to them. Knowing that he/she can no longer count on a giver's cooperation post-bribe, the bribe taker will now suspect that all bribes offered and solicited will be made public after the fact by the giver, leading to prosecution. Far safer for the taker to simply stop asking for or accepting bribes. What about other types of bribes, say like a bribe paid to win a government contract? Here Basu suggests that while the giving of this sort of bribe should not be legalized, the giver should face a more lenient penalty than the taker so as to reduce their motivation to collude. A policy of allowing bribe givers to tell on bribe takers can backfire, as Basu points out in a more formal paper. Say that a government legalizes the act of giving a bribe, but that the probability of a bribe-giver's information being acted upon by the government is low (perhaps a very high bar for conviction has been set or the department for registering cases of bribery is not sufficiently responsive). In this case, the expected penalty for bribe-taking remains small enough that bribery will not be abolished. Rather, average bribe sizes will rise since government officials will require more compensation to make up for the odds of being detected. Since the same nations that suffer from bribery may be the same ones that fail to run effective departments for taking complaints about bribery and verifying them, the odds of policy failure are not small. Another problem with this scheme is that it might encourage citizens to blackmail government officials. After all, once a bribe-giver has lured an official into accepting a bribe, he/she can now turn around and tell the official that without some form of compensation, the bribe will be revealed. In response to this, Basu notes wryly that "there is nothing fool-proof in economic policy design," but also suggests increasing the punishment for blackmail. If the idea of legalizing bribe-giving seems odd on first pass, just think of it as a whistle blowing rule, say like the one recently implemented by the SEC. Whistle-blowing laws are designed to break the psychological incentive for employers to go along with their rule-breaking employees. After all, deviating from an employer-enforced consensus can cause a lot of stress. An offer of financial aid may go some distance to alleviating what is sure to be a difficult experience. In the same way that Basu's legalizing of bribe-giving deputizes bribe givers to come forth and help the authorities pinpoint fraud by government officials, compensation for employees deputizes them to pinpoint corporate fraud. As I pointed out in this post, Modi's demonetization is a gamble. Sure, it could work out magnificently. But at what cost? With no academic literature documenting the effect of aggressive demonetizations on black market activity, it's hard to know what to expect. While my sense is that the demonetization will probably enjoy some degree of success, a series of incremental changes—including a legalization of bribe-giving (for which their exists a growing body of empirical literature)— would be a far more certain, albeit less dashing, strategy for encouraging growth in the official sectors of developing nations. "America's only unwanted, unhonoured coin." - John Willem on the silver trade dollar. The inspiration for this post comes from the old trade dollar, a U.S. silver coin that was minted in the 1870s and 1880s for the sole purpose of circulating in China. Taking the trade dollar as a model, I'm going to discuss the idea of converting the U.S. $100 bill into a trade bill; i.e. to limit it to foreign and not domestic usage. Why bother modifying the $100 in this way? While not entirely convinced, I do lean towards Ken Rogoff's idea of getting rid of high denomination banknotes like the Canadian $100, the Swiss 1000 franc, and the Europe's €500. These bills are used primarily by criminals and tax evaders; their removal will make these activities more costly. The public's licit demand for a private means of payment can be met by low denomination notes, as can the necessity for a convenient physical payments medium on the part of the unbanked. By converting the $100 into a trade bill, everyone can have their cake and eat it too. Like the old silver trade dollar, the $100 trade bill will be barred from playing a role in the U.S. economy, thus doing damage to the domestic underground economy. But it will be free to be used in places like Venezuela which, thanks to misgovernance, are in urgent need of a better monetary standard. 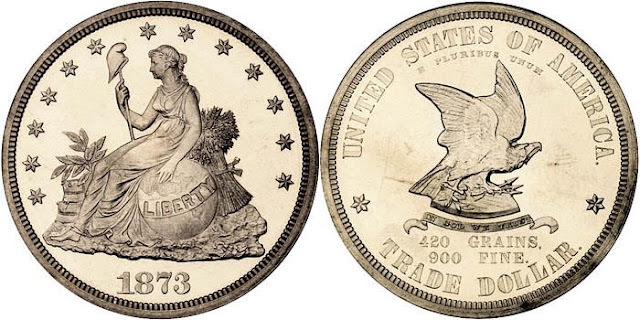 To help determine the structure of a modern $100 trade bill, let's explore the design of the 19th century silver trade dollar. China had a long history of using silver as money, and as trade with the west grew the Spanish silver dollar—minted in Mexico—had become quite popular with Chinese merchants. U.S. traders were penalized as they had to acquire Mexican dollars at a premium to the coin's intrinsic silver value in order to do business with China. Enter the trade dollar. The idea was to introduce a U.S. equivalent to the Mexican dollar in order to help out U.S. merchants, who would no longer have to pay a premium. The trade dollar would also provide domestic silver producers, an important political constituency, with an outlet for their production. While U.S. legislators liked the idea of having U.S. silver coins circulate overseas, they did not want the trade dollar to be used in the U.S. After all, the U.S. was in the midst of giving up the old bimetallic standard (silver and gold) in favour of a gold standard, and a new silver coin might interfere with this process. Thus, we arrive at the Coinage Act of 1873, which simultaneously took the U.S. off of silver (by ending the free coinage of silver) while also introducing the trade dollar. To ensure that the trade dollar would not be "made a part of or be in any way confounded with our monetary system," its legal tender status was limited to $5 i.e. no domestic debt could be extinguished with more than $5 in trade dollars (for a review of legal tender, go here). To further hurt its domestic usefulness, this legal tender status would be completely revoked in 1876. While the trade dollar was well-received in China (most of them were chopped), it wasn't entirely successful in staying out of domestic U.S. circulation. According to Garnett, of the $35.9 million in trade dollars coined, $29.4 million were exported. Of this amount, $2.1 million returned to the U.S., joining the $6.6 million that had never left the country. It's important to understand why trade dollars sometimes stayed in the U.S.—after all, the idea of a trade bill simply won't work if $100 notes continue circulating in the U.S. There seems to be two reasons for this. From 1873 until 1876, trade coins still had a limited value as legal tender. At first, this wasn't an issue. Since the intrinsic value of the coins' silver content exceeded their official legal tender value, it made little sense for Americans to use them to settle local debts—debtors would be effectively overpaying if they did so. However, as silver prices fell through the 1870s the official legal tender value of trade dollars began to exceed their intrinsic value, at which point it was profitable for debtors to pay off their bills in overvalued silver trade dollars. This would have diverted trade dollars from China in order to meet local demand. Secondly, speculators began to buy trade dollars in China and bring them back home on the expectation that the U.S. government would eventually redeem them at their original value of $1, even as they traded at around 80 cents on the dollar. This belief was eventually realized in 1887 when Congress compelled the government to redeem all trade dollars at par. So with these design flaws in mind, let's design our $100 trade bill. To begin with, on January 1, 2017 the U.S. government will announce its intention to rescind the legal tender status of $100 bills. That means the $100 can no longer be used by a debtor to discharge any U.S. debt. Legal tender status must be entirely rescinded to avoid the mistakes of the trade dollar. Next, the Federal Reserve announces that after a certain date (say January 1, 2019), all domestic deposits and withdrawals of $100 notes will be illegal. Until then, the public enjoys a two-year window for bringing bills into banks or Federal Reserve branches for conversion into $20 bills or deposits. To prevent local hoarding of $100 bills, the domestic closure of the "$100 window" must be perceived to be permanent. Remember that trade dollar inconvertibility was perceived to be temporary, thus encouraging domestic demand. Likewise, if they anticipate a re-opening of the "$100 window," Americans will simply keep their $100s at home. Banning local redemption will likely force all local retailers, wholesalers, and other businesses to stop accepting $100 bills. 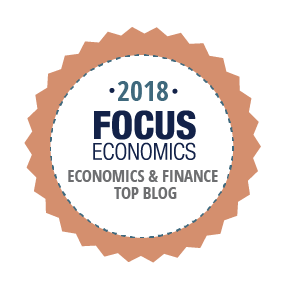 A retailer like Walmart that receives a $100 bill during the course of business will have to ship it overseas to be spent or deposited, and that would be quite expensive. Likewise, licit person-to-person exchanges of $100s will be crimped. Lacking domestic acceptance by banks and retailers, the $100 will have no liquidity, and regular people will no longer be willing to accept them. For these same reasons, illicit domestic usage of $100s will suffer. Since no legitimate businesses will accept them, criminals won't be able to spend $100 notes into the local economy. To launder $100 bills, it will now be necessary to send them overseas for deposit into foreign banks. This will impose significant handling costs on money launderers, especially if the government institutes laws that limit large cash exports. These handling costs will probably be high enough to force domestic illegal currency users to migrate to $20 bills as their preferred medium. While domestic usage of $100s will rapidly decline, foreign-based banks will be completely free to allow deposits and withdrawals of $100 banknotes, much as they do now. To get $100 notes shipped from the U.S., foreign banks will have to put in orders with a Federal Reserve bank (they tend to prefer the New York Fed's cash office and, in the West, the San Francisco Fed's Los Angeles cash office). To redeposit $100 bills, they will have to send them by plane back to New York. This setup should be sufficient to flush most $100 bills out of domestic circulation, forcing U.S.-based criminals and tax evaders to fall back on less convenient $20s. And just as the trade dollar successfully met Chinese demand for silver money, the $100 trade bill will meet Panamanian, Zimbabwean, and other foreign demand for U.S. high denomination cash. *Rogoff believes that a policy of removing high denomination notes should only be enacted by developed nations. But since so many undeveloped nations use the dollar, Rogoff is being inconsistent in calling for an end to the $100. Milton Friedman wrote an excellent account of the switch from bimetallism to the gold standard (pdf).